Hello all! Marshall here from the Abundant Acres farm crew. I will be making a guest appearance as the author of this weeks newsletter. 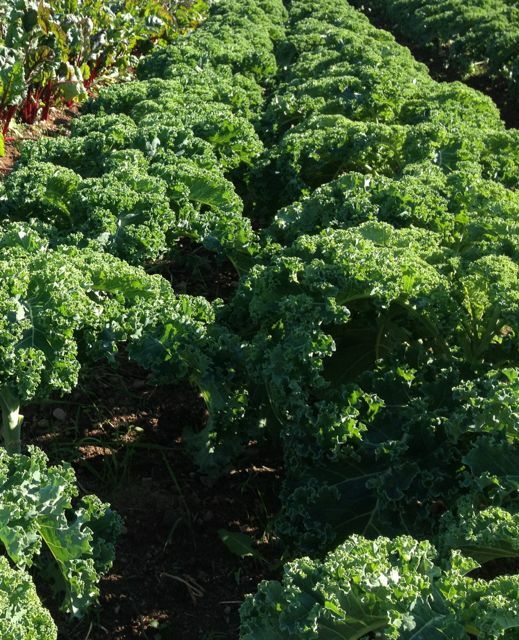 This week in the pack we expect to have carrots; peppers; hot peppers; lettuce or salad mix; herbs; onions; kale/beet/chard/nappa cabbage; tomatillos; hopefully tomatoes; and cortland apples. Before I go further, I must make a quick comment about last week’s newsletter. Although the post was about strong farm women, Jen humbly forgot to mention the strongest of all the farm women here at Abundant Acres: herself! Without Jen’s quiet yet essential advice, ninja level office management, and excellent care of the animals, the farm would simply cease to be the haven of bountiful eggs and vegetables that it has become. A huge thanks to Jen for giving it her all on the farm, day in and day out! 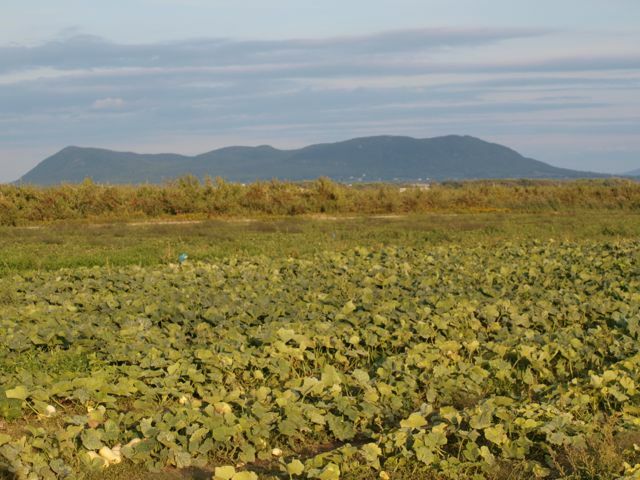 Last week I had the privilege of travelling to seven different vegetable farms in Quebec with a group of many distinguished Maritime vegetable producers. 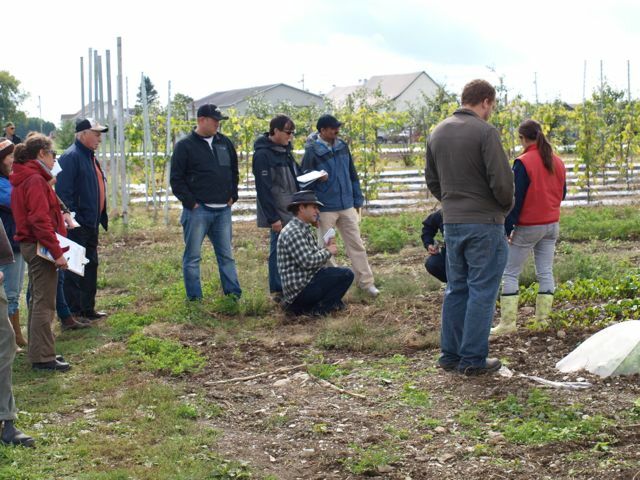 The trip was an amazing opportunity to soak up knowledge on vegetable production and connect with other growers. Every farm has developed their own unique set of growing systems that work for them. By visiting and observing these systems at work I was able to pick up some tips and tricks that could be useful here at Abundant Acres. This kind of exchange of ideas is how farms keep evolving and improving! This is an example of a pepper trellising technique used by many producers in Quebec. 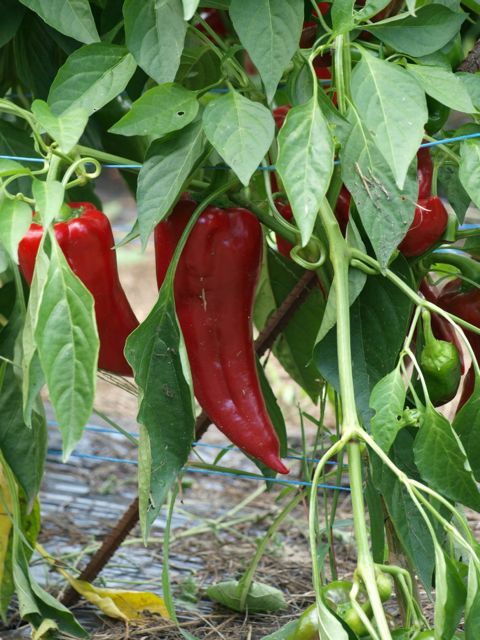 By setting up simple trellises with rebar and twine in their hoop houses, the peppers have plenty of room to grow to their full delicious potential and are held above the ground to decrease fruit rot. We visited farms of all sorts of sizes and specialties. Some were as large as 370 acres (that’s over 275 football fields of veggies!) and some were as small as 1.5 acres (just over one football field of land). Potager Mont-Rouge is the largest farm we visited with over 250 acres of various squash grown in an innovative cover crop mulching system. Woah! Although each farm presented its own unique learning opportunities, the most impressive farm we visited (for me at least) was the smallest of them all, known as Les Jardins de la Grelinette. 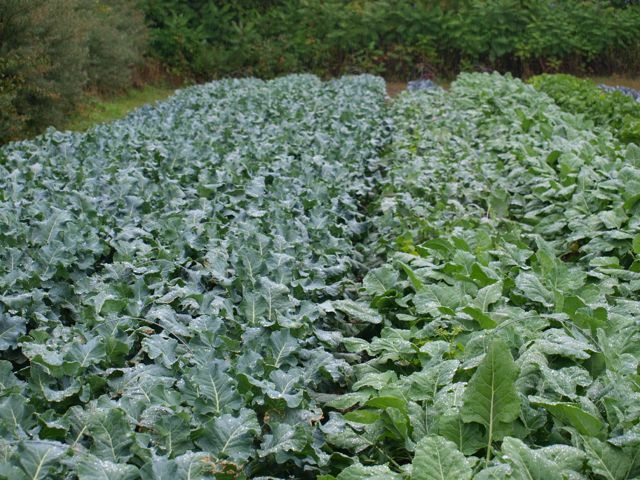 Run by Jean Martin Fortier and Maude-Helene Desroches, this intensive and productive market garden stands as a testament to the fact that small is indeed beautiful, profitable, and ecological. 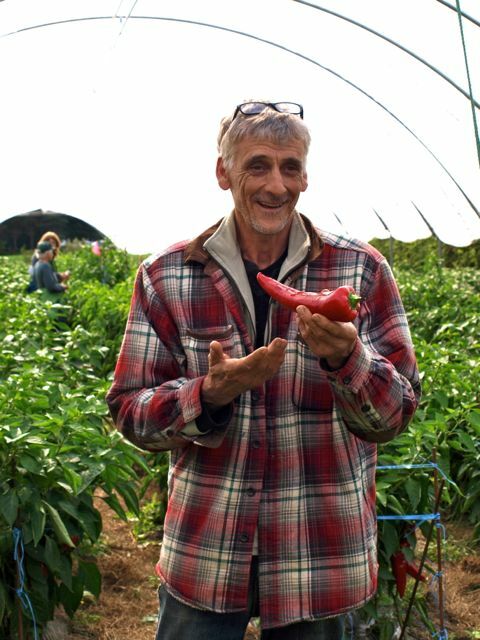 Over the past 10 years this farming power couple have created an incredibly efficient micro farm that supplies over 200 families with vegetables, relies primarily on hand tools and a walk-behind tractor to function, and provides enough money for their family to live comfortably. As an aspiring young farmer looking to make a living from the land and grow healthy food in an environmentally sound way, the visit was incredibly inspirational. Yes, it can be done! 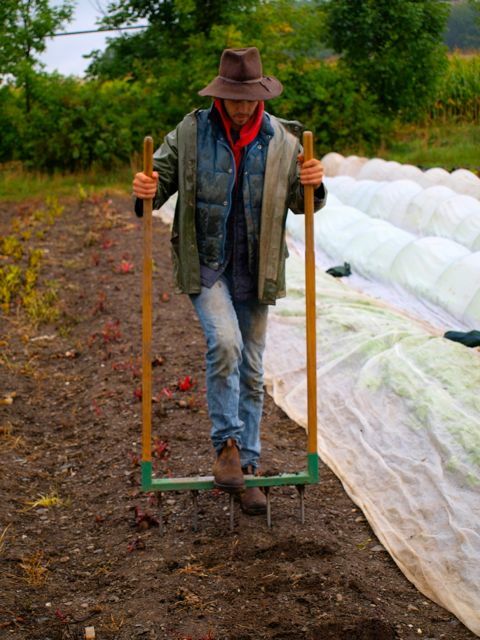 Jean Martin using his favourite market gardening tool: la grelinette (the broadfork)! This tool allows him to deeply aerate and loosen the soil without destroying the soil structure and ecology. 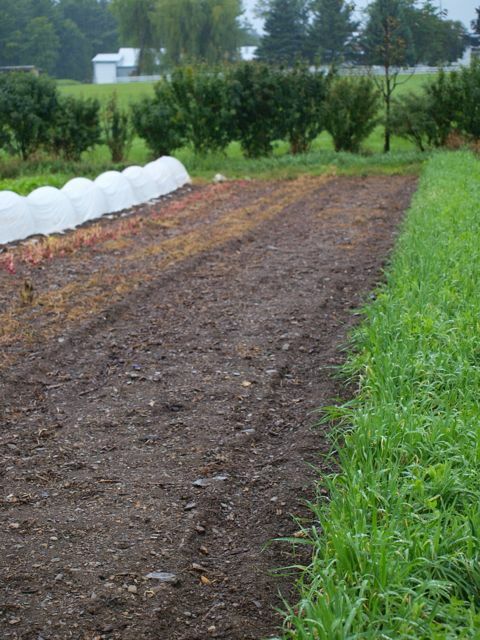 By using permanent raised beds with minimal tillage, applying lots of compost, and planting vegetables densely to create a crop canopy, they have managed to increase the amount of stable organic matter in their soil from 2% to 10% and have encouraged the proliferation of beneficial soil bacterial and fungal communities essential to plant growth. Since at Abundant Acres we have been experimenting with similar growing techniques, it was very educational to walk around les Jardins de la Grelinette and observe their systems at work. Planting densely creates a crop canopy that decreases topsoil erosion, prevents weed growth, and increases production per unit area. You can see the canopy at work at both les Jardins de la Grelinette (top) and here at Abundant Acres farm (below). I returned home buzzing with ideas, but also with a new found appreciation for where I work. 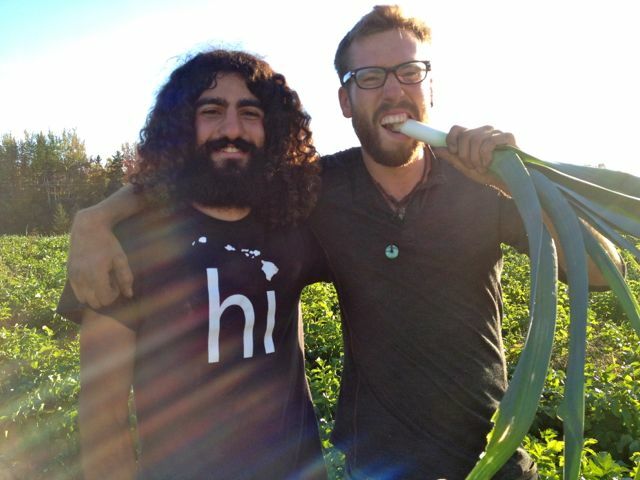 Abundant Acres farm has a real spirit of experimentation and diversification that is unique and refreshing. 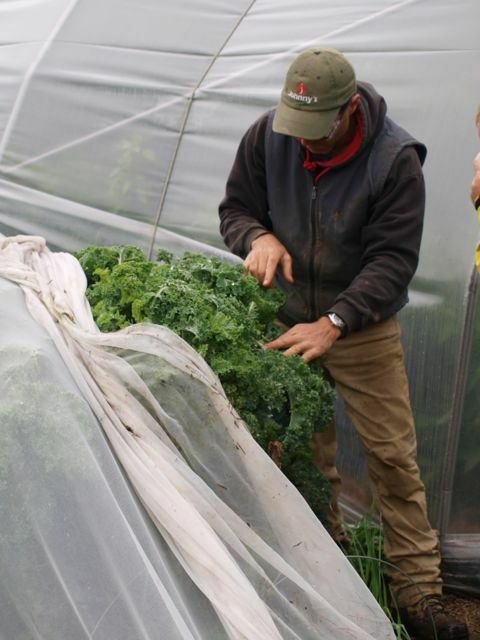 While growing healthy vegetables intensively on a small scale similar to les Jardins de la Grelinette, Jen and Dave have many other interesting and innovative projects on the go. They produce as much compost as they can on-site, grow storage crops for the winter as well as summer crops, manage pastured cattle and laying hens, design and test important tools suited to small scale growing, experiment with cutting-edge cover crop hybrid mulching systems, and much more (seriously, I could go on for pages and pages). Abundant Acres has been an amazing place to learn and grow as a young farmer. P.S. Below are more pictures form my trip! 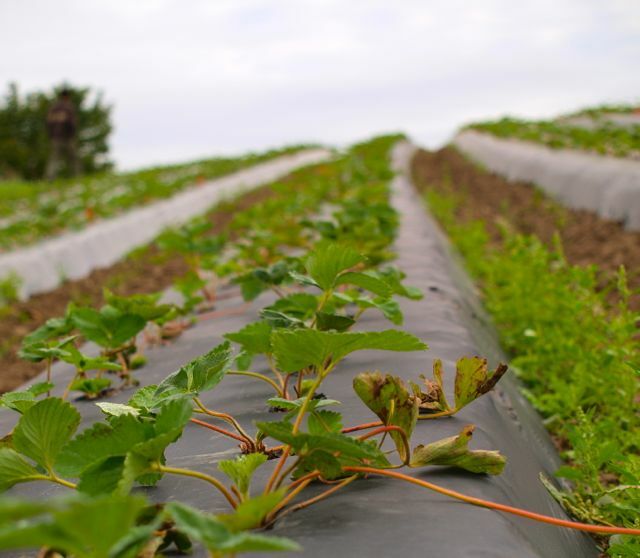 Stawberry seedlings planted in August that will over winter and produce by the 1st of May on Ferme Horticole Jean-Yves Gamelin. 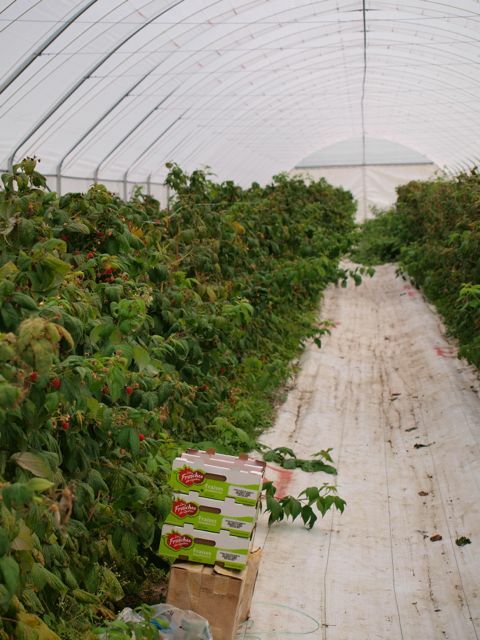 Fall raspberries grown in a multi-bay high tunnel (large unheated greenhouses) at Ferme Horticole Jean-Yzves Gamelin. Robin Fortin of Ferme de la Berceuse describing the unmatched delightful taste of Carmen red peppers. 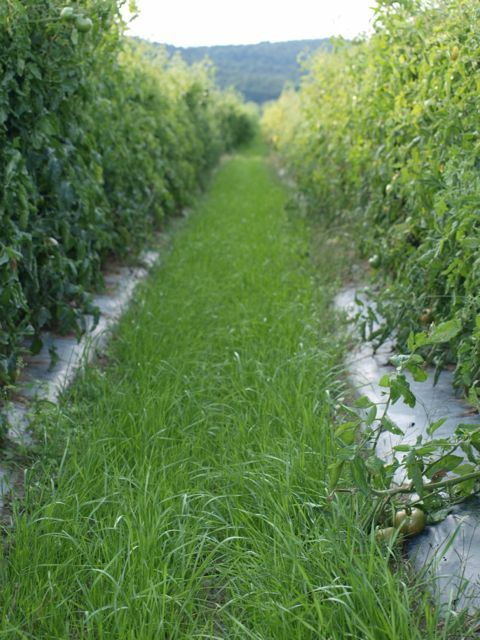 Annual rye grass planted in between beds of field tomatoes at Potager Mont-Rouge, preventing erosion and weed pressure. 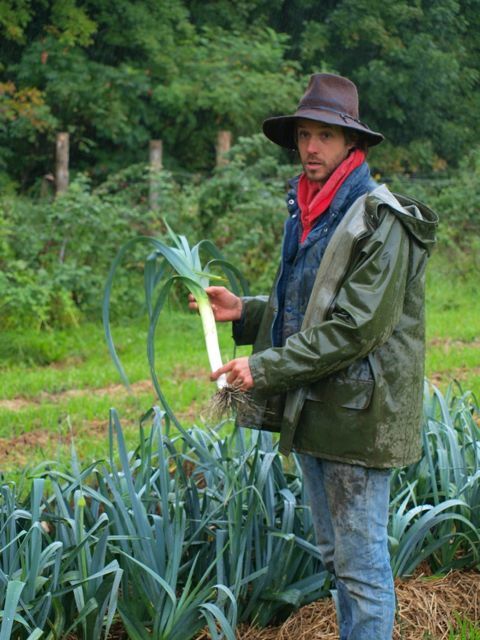 Jean-Martin Fortier showing off his award winning leeks at les Jardins de la Grelinette. 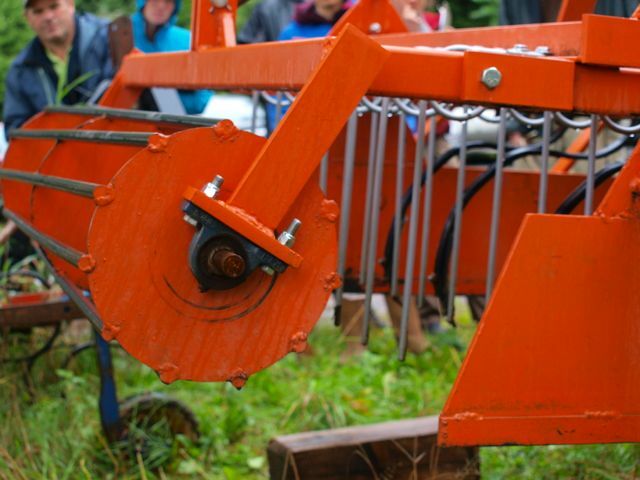 Specialized tractor operated mechanical tillage equipment for permanent raised beds at les Jardins de Tessa. Frédéric Duhamel warning us about a dangerous pest known as the swede midge. Luckily it has not yet made its way further east. The group out for a tour at Potager Andre Samson.